The thriving hub of the European Quarter – Beyoğlu – never sleeps and while it may be true that it is the place to go to have a meal, hear some music, watch a show or peruse the shops, it is also fast becoming the place for contemporary art. When Koç Contemporary opens in 2016, it will be in very deserving company. Let’s start at the Tünel end of İstiklâl Caddesi (main image). Backtrack down the street and at No 211, you will find art space, ARTER, an exemplary player in Istanbul’s contemporary art scene. Last summer, ARTER hosted an excellent retrospective exhibition of British artist Mat Collishaw, who belongs to the loose group known as the Young British Artists. This year’s season begins with an exhibition by another Young British Artist, Marc Quinn. The Sleep of Reason is Quinn’s first solo exhibition in Turkey and brings together 30 of his works – spanning a number of media – which he has produced since 2000. Quinn’s oeuvre displays an obsession with fluctuations in the body and the dualisms which define human life: spiritual and physical, surface and depth, cerebral and sexual. He is known for using ice, blood and other bodily excrements to make sculptures, sometimes referring to his pieces as science experiments. 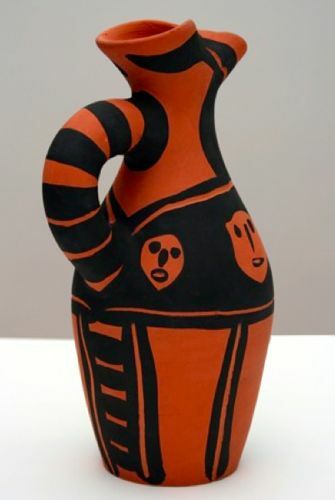 The above work is part of his Self series, the first of which Quinn made in 1991. 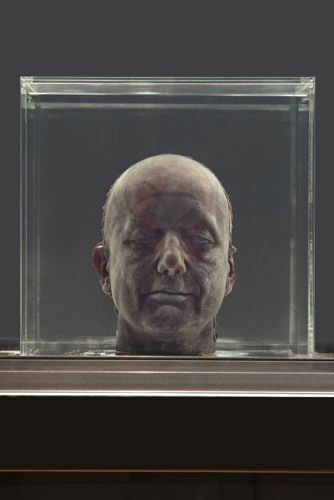 The works consist of casts of the artist’s head made from his own frozen blood. Sometimes, though, he paints flowers. 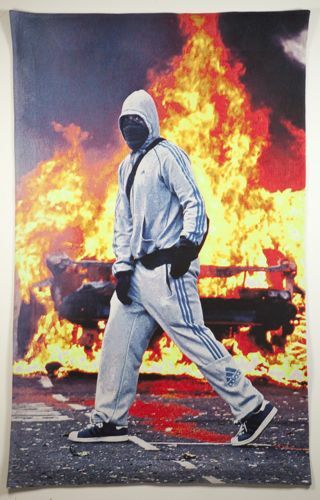 The exhibition also includes Quinn’s six new tapestry ‘paintings’, which show ‘images of nameless insurgents whose faces remain anonymous in the shadow of their hoods. These are iconic images captured by journalists reporting on the recent uprisings in Brazil, Greece, Egypt, India and the UK,’ says ARTER’s Idil Kartal. Looking back on 2013, the highlights for Kartal were the aforementioned Collishaw show, as well as the group show, Envy, Enmity, Embarrassment. Coming up is a solo exhibition of Füsun Onur, one of the pioneers of Turkish contemporary art, curated by Emre Baykal. Head down İstiklâl Caddesi back towards Tünel and turn right down Asmalı Mescit Caddesi. 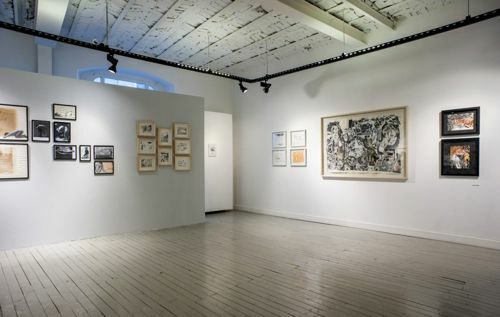 At No 5, ALAN Istanbul is hosting a group exhibition, The Spirit of Paper. Showcasing works by 27 Turkish artists – some established, some emerging – the exhibition, true to it name, pays tribute to the medium of paper. 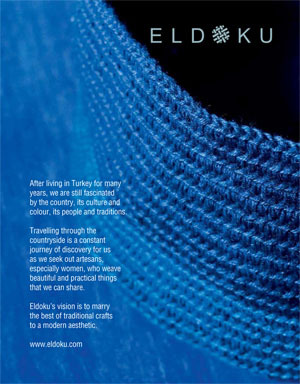 Some artists to look out for include Hüseyin Rüstemoğlu, İnci Furni, Nejat Satı and Ramazan Bayrakoğlu. 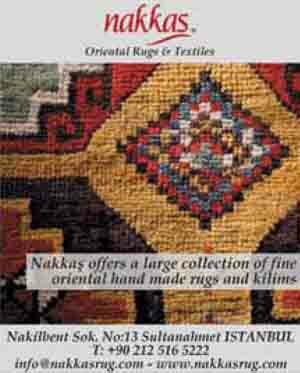 Works are for sale and prices range between 3,000TL and 25,000TL. On perpendicular Meşrutiyet Caddesi, at No 67, Galerist is hosting the latest solo show of Turkish artist Serkan Özkaya. Today was really yesterday showcases the artist’s recent sculptures and installations, accompanied by photographs and videos. 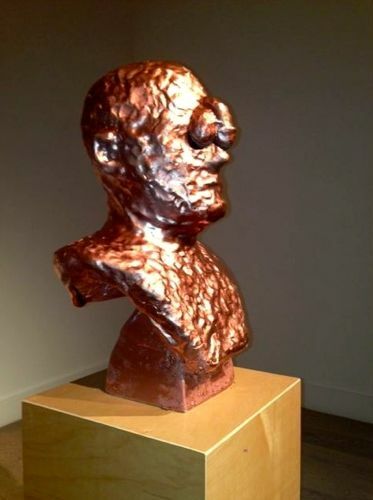 Özkaya often adds a touch of humour to his work, such as the above ‘The Bust of an Unfortunate Man’, which was inspired by a joke. The gallery’s Associate Director, Eda Berkmen, picks the work #davidandgoliath as one of her favourites. ‘The installation consists of a boy with a slingshot in hand and there are pieces of a helicopter suspended in the air as if it has just exploded. This work triggers shock, fear and wonder; it makes political, historical and art references, and manages to capture the zeitgeist in Turkey,’ she says. The works are for sale and prices range between $US500 and $US35,000. Berkmen’s 2013 highlights include the Kendell Geers exhibition, which opened in late May when the events at Gezi erupted. ‘The artist was in Istanbul and it was a unique experience to see his involvement with, and response to, the movement and to witness how his show seemed to anticipate the events,’ she says. The publication of a comprehensive book on Nil Yalter’s career was also memorable. The 2014 programme has exhibitions by Merve Morkoç and Istanbul-based artist duo :mentalKLINIK, who are known for their reactionary art, in store. And, Nil Yalter has been given a ‘carte blanche’ to curate an exhibition featuring works by Hélène Hourmat, Birgit Jürgenssen, Sigalit Landau, Parastou Forouhar, Youssef Nabil, Yasemin Özcan, Didem Erk and Dilek Winchester. Next door at No 65, Pera Museum has two new temporary exhibitions to feast on. The travelling exhibitions at Pera Museum are often a treat – and this season is no different. First up is Aurora, a group exhibition bringing together 51 works from 25 artists from Nordic countries, all working in the medium of glass. As leaders in the contemporary glass art field – due to their long traditions in the art form – Nordic countries, such as Denmark, Finland, Norway, Sweden and Iceland, claim a large proportion of some of the most popular artists working with glass today. 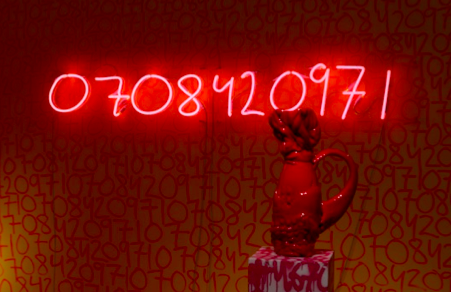 The works as part of this exhibition see glass being interpreted in interesting ways, as in the above work – a mobile phone number in neon. A piece like this holds just as much significance in the Nordic contemporary glass scene as graceful long-necked vases. On the third floor, there is an exhibition focusing on the engravings and ceramics by the master of Cubism himself, Picasso. Selected from the Museo Casa Natal Collection, namely the house in which Picasso was born in Málaga, Spain, there are 56 engravings and eight ceramic works on display. Besides that, the artist’s childhood belongings – including his baby smock, shoes and toy soldiers – are also showcased, giving a unique glimpse into his personal life. If you still have it in you, there are some excellent permanent exhibitions at Pera. The Intersecting Worlds: Ambassadors and Painters exhibition on Level 2 is a fascinating look into the relationship which existed between the Ottoman Empire and Europe for over three centuries through the eyes of court painters. Meanwhile, on Level 1, there are ceiling-to-floor glass cabinets displaying Anatolian weights and measures, and Kütahya tiles and ceramics, all from the Suna and Inan Kıraç Foundation, the founders of the Museum. 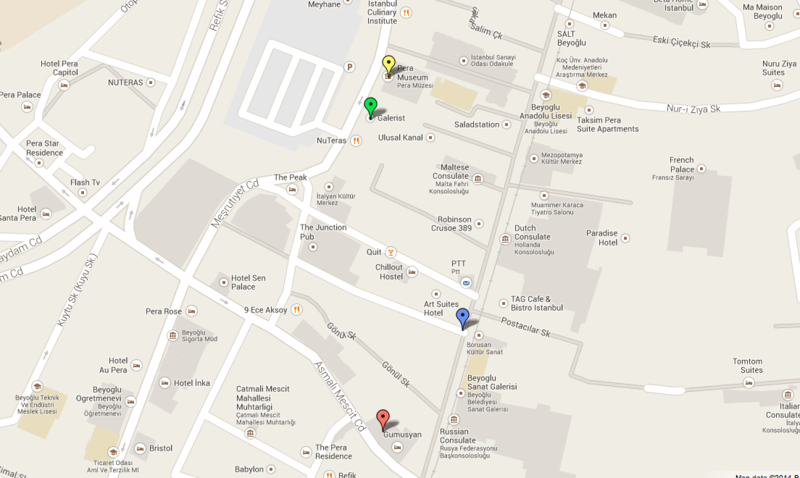 All images, except main image, courtesy of respective galleries. Main image courtesy of Wikimedia Commons.